Demandez votre compte gratuit ! J'accepte les Conditions d'utilisation et Politique de confidentialité . Commencez à créer des factures en moins de 5 secondes. Pendant que nous configurons votre compte, pensez à le vérifier en cliquant sur le lien que nous avons envoyé à votre adresse mail enregistrée. A few weeks back we had an interview with Eric Alksibati, a barrister and solicitor from HMLC, a full service law firm based in Dubai, UAE. He is a specialist in commercial and corporate law. Eric's company has been using Zoho Invoice for a long time now. Let's read his views on Zoho Invoice and how our invoice software helped transform his law firm's invoicing process. 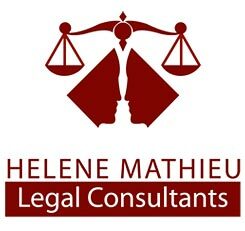 Helene Mathieu Legal Consultants (HMLC) law firm has been in existence for over 16 years and has a multi-lingual team of lawyers and consultants that specialize in corporate & labor law, as well as immigration to Canada. They have a strong team consisting of experts specializing in legal and civil law as well. Headquartered in Dubai, UAE which is also affectionately called the "City of Gold" or "The Desert Miracle", Helene Mathieu Legal Consultants are the representatives of Mossack Fonseca & Co., a leader for offshore business establishments for the entire gulf region. The firm has associated offices in Canada, Australia, New Zealand, France, Lebanon, Syria, Saudi Arabia, Qatar and the US, apart from several other offices that are functioning from the European region. So, basically HMLC operates from three continents across the globe. Being a large law firm, HMLC had to create numerous invoices every month. The challenge they faced is the "accuracy" in billing customers. The law firm totally wanted to avoid mistakes while creating or editing the invoices. Prior to moving to Zoho Invoice, HMLC was using a Dubai based invoicing software to prepare invoices and quotes. HMLC used to bill their clients on a regular basis as they provide a broad range of legal and advisory consulting services. Hence the full service law firm was searching for an invoicing solution that would simplify their invoice cycle. Today, HMLC uses Zoho Invoice estimates for sending quotes and law firm invoice templates for its client billing purposes. As a matter of fact, HMLC came to learn that time billing is an essential function to a law firm success as client invoices would be sent per the client directives and also matching the law firm's policies. HMLC is able to send invoices on time and receives faster payment from its customers . And with the help of invoice templates, the law firm is able to embed its company's logo on all its invoices and estimates without any hassles and also as a result adding on a touch of brand identity. In the Zoho suite of online applications, HMLC got introduced to Zoho Creator first. Once they came to know about Zoho Invoice, the law firm used it instantly and liked it.​ Migrating to Zoho Invoice has made the firm's work a lot simpler. In the past three years, Zoho Invoice has really transformed their invoicing processes and helped enhanced its efficiency. Invoice related errors have been minimized to a great extent and the invoices are now created at a much faster rate. The notification emails also plays a vital role in keeping track of invoices or estimates that HMLC sends to its clients. Our invoice software has improved HMLC's cash flow and productivity considerably. 'Time' is revered in all successful companies. Billing customers on time will ensure your cash registers ringing. Oups ! Nous n'avons pas compris votre nom. Humm… Où faut-il envoyer la réponse ? Nous pouvons attendre. Prenez votre temps pour rédiger votre question.